PET(Polyethylene terephthalate) braided sleeving can be easily expanded to the original 150% and easily tighten a variety of irregular shaped objects. 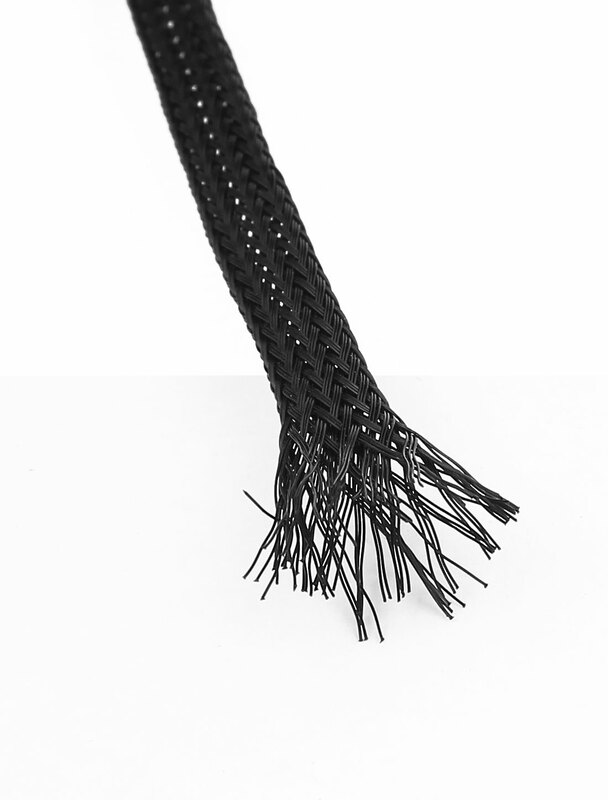 Braid can be maintained over a wide temperature range is soft, can inhibit chemical corrosion, UV and friction, it also has a unique feature mesh ventilation instant wire heat diffusion function, smooth surface, bright color, great variety. Thus braid is ideal for electronic, automotive, aircraft, marine, industrial, household and other line management and bundling applications. Wire nets such as DVI, HDMI cable nets, fiber optic lines, maneuvering engine line, home theater cable management, computer chassis wire layout inside, office line management, automotive harnesses, scuba hose protection and so forth.